All of us get damaged by others in life. We are human beings who make mistakes and we have the potential to damage others too. Of the billions of people in this world, most have been damaged at some time or another, some very seriously indeed, others less so. Damage to relationships in everyday life is normal and unavoidable. However, repairing relationships can be very complicated. It is often easier to walk away and "write the person off" by deciding that you will never speak to them again, or never share your life openly with them again. 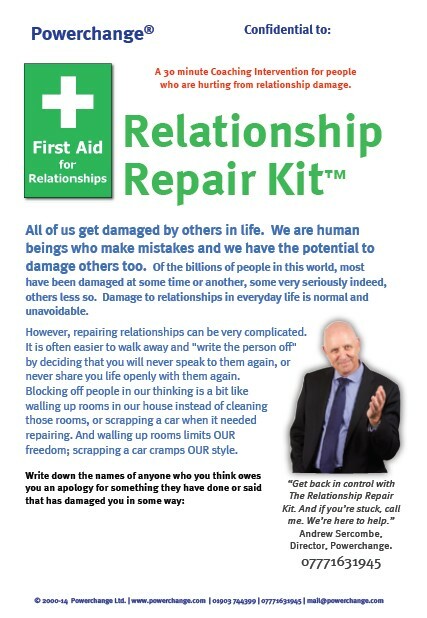 Get back in control with The Relationship Repair Kit. If you’re stuck, call me. We’re here to help. 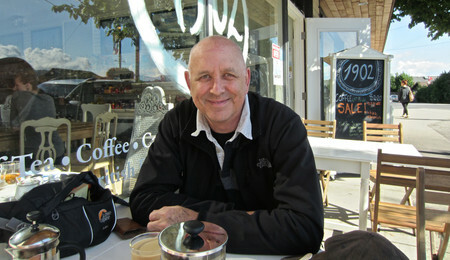 "My first real test came a week after I had finished my powerchange session. I was asked if I wanted to meet up with a friend who I hadn't seen for 13 years. I had NO fear, I didn't stress and I didn't cancel. I went out that day and I totally enjoyed being free from my past that had held me back for so many years..."